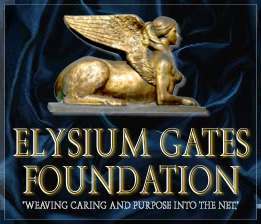 If you want to help get the word out about Elysium Gates Foundation, please feel free to take any of the graphics below to display on your website and link it to http://elysiumgates.org Thank You! Special thanks goes to Crystal Cloud Graphics for designing our site and creating all associated graphics. Be sure to visit them for all your graphic needs!